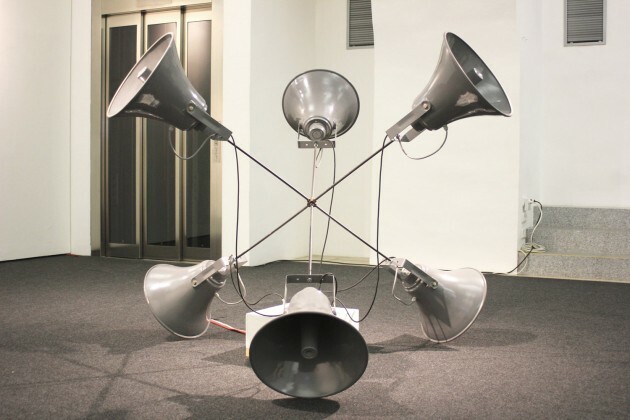 The “Tinnitus 6000” project deals with the strategic use of sound to exercise power and in particular with the misuse of sound and music as an instrument of torture. 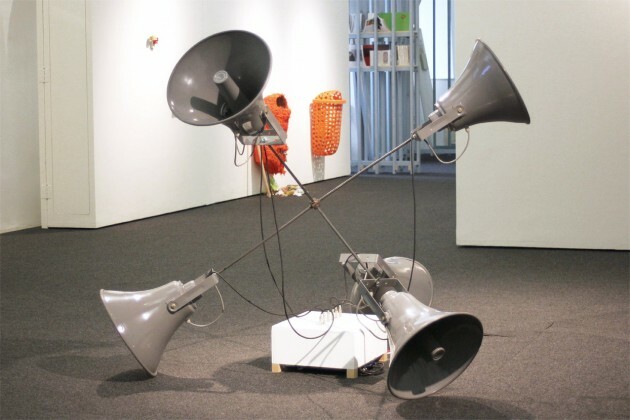 The sculptural sound system makes clear references in its appearance to the subject of sound and power. 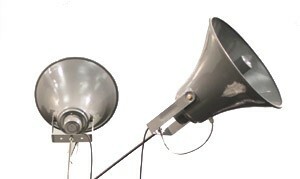 A four-part score allowed visitors to immerse themselves into the dark soundscapes of US interrogation centers and to perceive their different auditory qualities and abstrusities.